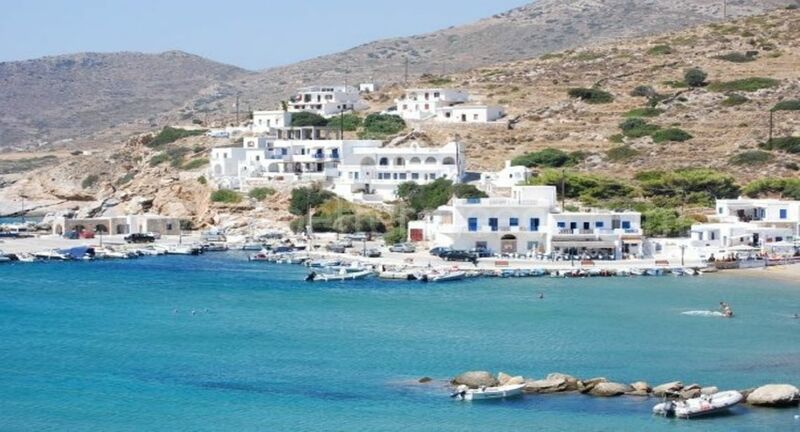 There are many beautiful and famous islands situated all over the Greek seas, where you can enjoy relaxing, rewarding and unique holidays.With the blue waters of the Aegean Sea, the Cyclades islands are amongst the most famous and picturesque, and provide a wonderful selection of popular holiday destinations. The complex consists of 7 apartments. 5 studios with three beds and 2 studios with four beds. All rooms combine modern facilities with traditional style. Each apartment has a large veranda with panoramic view, fully equipped kitchen, Air-Condition, bedroom, private bathroom, for a comfortable stay with daily cleaning service. 7 comfortable studios, each with a bedroom, a sitting room, a small kitchen and a private bathroom, located close to the sea and close to the taverns and shops.